"This is a tale of tragedy and triumph and the undying power of family to overcome all odds. Bittner at the top of her form. "—RT Book Reviews, 4.5 Stars TOP PICK! 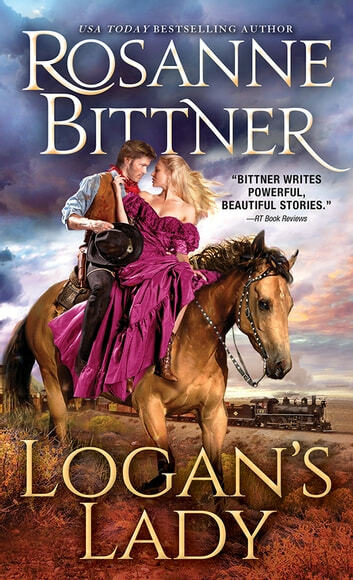 When I saw there was a new book by Rosanne Bittner, I could not wait to read it and I knew it would be amazing! She writes the quintessential western romance that pulls at the heart and warms the soul. This is the story of a woman's longing for adventure by traveling to America and leaving behind the strictures of England. But as Lady Elizabeth finds out, there are unscupulous men everywhere in the world. 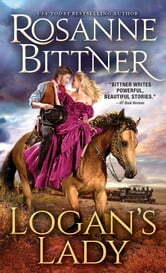 Being stolen from, she enlists the aid of one Logan Best, bounty hunter and one tough guy. Logan has had his share of loss and heartache and my heart ached for him. He was a protector of women and children, though a fiece man to be dealt with when it came to injustice As he first meets Elizabeth, he thinks her just a naive lady from England but as they spent time together, her bravery and strong will came out. These two characters were wonderful and the attraction between them builds up on their journey. I enjoyed every second and page and truly did not want it to end. But be assured, this will go on my keeper shelf to be read again as all of this author's books seem to be and I know you will love it just as much as I did! !